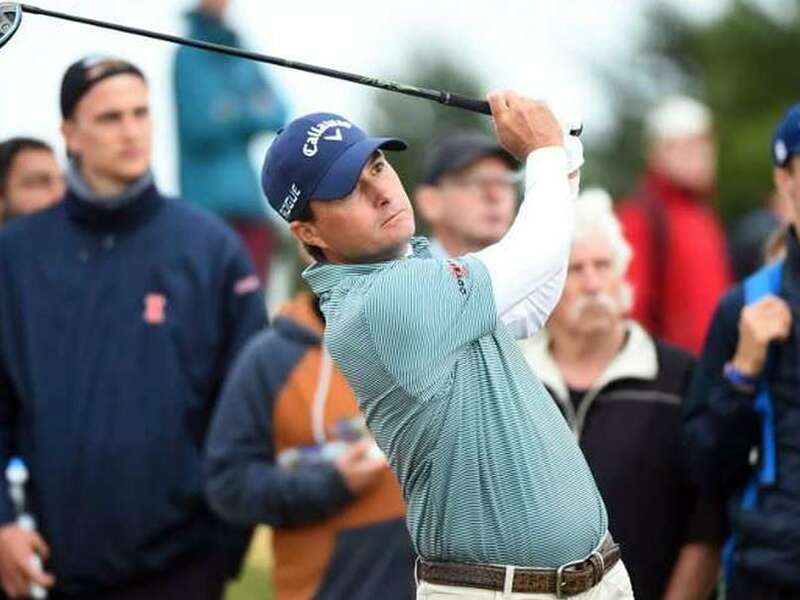 Overnight pacesetter Kevin Kisner and former champion Zach Johnson shared the lead at the halfway stage of the British Open on Friday, with Tommy Fleetwood right in contention behind them. Kisner and Johnson are sharing a house in Carnoustie this week along with several other American stars competing for the Claret Jug, but they did not share the same conditions on the course. The 42-year-old Johnson, who won at St Andrews in 2015, survived miserable morning rain as he followed his 69 in the first round with a second-round 67 to move to six under par for the tournament. 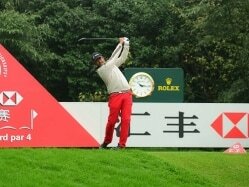 He recovered from a bogey at the first hole with five birdies and no more dropped shots after that as he again flourishes at the one major held outside his home country. "I'm not going to sit here and say, man, I just love playing in the wind and rain because I don't, but I can do it, you know," said Johnson, who had made the cut at 11 straight Opens before this one. Kisner does not have the same CV as Johnson, also a former Masters winner, although he did lead last year's US PGA Championship going into the final day before finishing joint-seventh. After his stellar opening 66, five under par, Kisner shot a 70 on Friday as the rain disappeared and the sun came out for his afternoon round. But it could have been so much better as he was eight-under standing on the 18th tee. The American's approach to the last green found the Barry Burn, scene of Frenchman Jean Van de Velde's infamous meltdown on the final day in 1999, forcing him to take a drop before two-putting for a one-under-par round of 70 and a six-under total. "I didn't think I would hit that in the burn with an 8-iron but it just didn't come out the way I saw it," said Kisner, although he remains confident that he can contend for the title. "I hit a lot of great putts coming down the stretch. I love where my putter is and love my position going into the weekend." Fleetwood recorded a brilliant six-under-par 65 -- featuring six birdies and no dropped shots -- to go to five-under overall, level with another American duo, Pat Perez and Xander Schauffele. 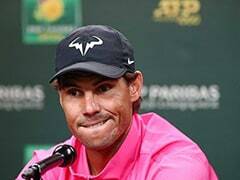 It was a round from the 27-year-old Englishman that showed how comfortable he is at a venue where he holds the course record following a 63 at last year's Dunhill Championship. Now right in the mix, Fleetwood is dreaming of becoming the first English golfer to lift the Claret Jug since Nick Faldo in 1992. "If I could pick one tournament in my life to win, it would be The Open," admitted Fleetwood. Rory McIlroy, the 2014 Open champion, is in a strong position too, after going out shortly before 8am and shooting his second successive 69 to go to four-under for the tournament. "There is still a long way to go, but I'm in a great position going into the third day," said the Northern Irishman, who is looking for his first major in four years. He is level with American pair Tony Finau and last year's runner-up Matt Kuchar, as well as the unheralded South African duo of Erik van Rooyen and Zander Lombard. The prospects of a sixth straight major being won by an American are good, with reigning Open champion Jordan Spieth and Rickie Fowler both alongside their compatriot Kevin Chappell at three-under. After a frustrating first round, Spieth bounced back with a fine 67 on Friday, one of the best rounds of the whole day featuring only one bogey, at the 16th. 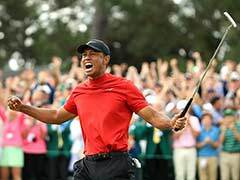 However, it is looking a little less likely that this tournament will finally be the one where Tiger Woods ends his decade-long major drought. He shot a second straight even-par round of 71, but at least he will be here for the weekend, in contrast to world number one Dustin Johnson, who is six over par and misses the cut. World number two Justin Thomas is also going home after a 77 that included three successive double-bogeys and left him four-over.